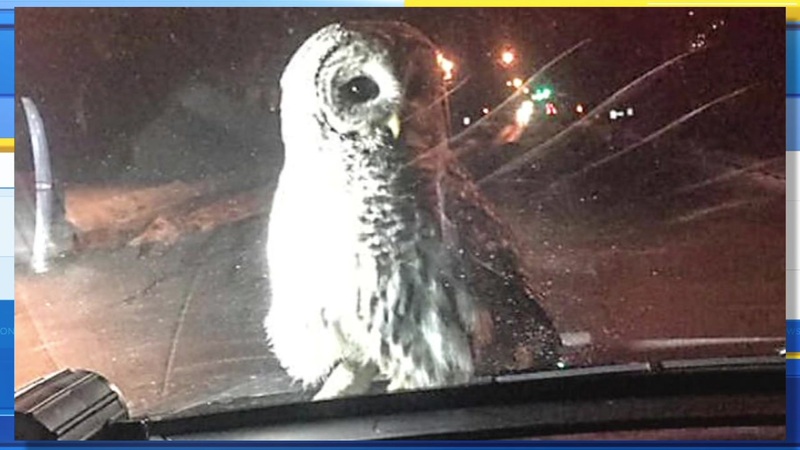 DULUTH, MN -- It was an eerie moment for a Minnesota police officer after seeing an owl perched on the hood of his squad car. Duluth police officer Richard LeDoux was responding to a call for an injured bird on Feb. 7. The owl flew onto the police car's hood, and LeDoux snapped a picture. He said he thought it was cool and wanted to share with his colleagues at the police station. K9 officer Ron Hurst said he heard LeDoux talking about it with other officers, so he asked LeDoux to show him the photo. Hurst shared it on Twitter, and it has since gained a lot of attention. Some little girls have puppies, others have lawn owls. 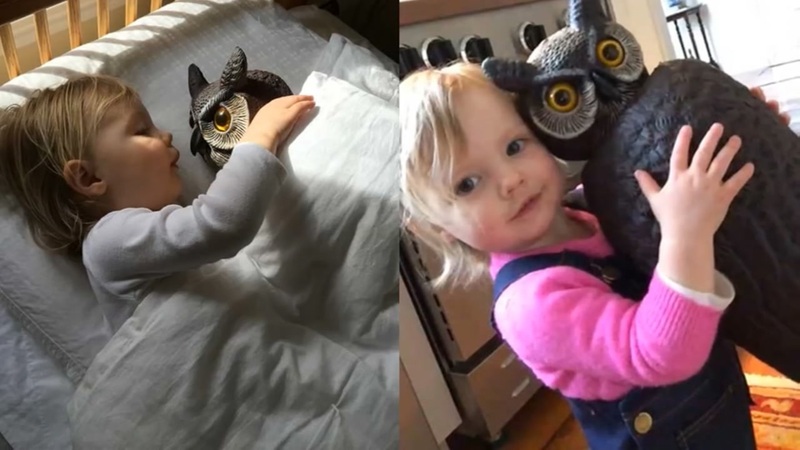 A one-and-half-year old girl in Massachusetts, named Sylvie, is best friends with a lawn owl, named Whootie.